How could it possibly happen? That is, how can a victim of domestic violence become perceived as a malicious, alienating parent? Repeated appearances in Family Court can cause a revised perception of who the victim is. I’ve seen it happen. For example, take the (fictional) case of a mom, the victim of many years of serious physical abuse from her husband whose children grow up witnessing many such incidents over their childhood. They become estranged from their father (who makes counterclaims of abuse by the mother toward him and says to the Judge that all he wants is to see his kids, and that she is trying to alienate them against him). Other incidents transpire after the divorce, after which the children may stop spending any time with dad. Years go by. He alleges parental alienation. Everyone goes through psychological evaluations with written reports, multiple court appearances before numerous judges over years. This is after the divorce—post Judgment. The judges get sick of hearing over and over that the kids won’t spend any time with their father, who appears to be sincere to the Judge, or puts on a convincing act. Orders for parenting time are written and not complied with. The kids don’t want to see their father. They refuse to listen to their mother when she tells them to go. Maybe she doesn’t insist hard enough. No one knows what the actual conversation is. The children are either afraid or bored, resentful or disconnected from that parent. They don’t want to get on the phone to have a conversation. Maybe they hate the estranged parent. Maybe the mom was not so careful about things she said in front of the children in the past. We don’t know. Maybe that can be called alienation, maybe not, depending on who you are representing. Whether or not mom attempted to alienate the children, she will be accused of it nevertheless. Same holds true for the opposite scenario, when the father is the primary parent of residence and the children won’t go to visit mom. Take another fictional scenario where the abusive or emotionally challenged parent does something bad, such as not returning the kids to mom from a parenting time weekend, or maybe worse. Perhaps some other event transpired in the past to cause the court to order supervised visitation, or limited visitation. At some point, in the absence of further episodes of poor judgment and bad behavior, the court will become frustrated with the ongoing litigation, of the repetitive claims from the parent who must be supervised that he/she only wants to spend time with their child who they love. The Court will put whatever safeguards in place that are realistic, necessary and that keep the children safe from harm. But for how long? Usually, not forever is the answer. In the absence of continued bad behavior, the court, depending on the circumstances, may have the tendency to allow the lessening of sanctions that were in place against the misbehaving parent. Unless we are talking about sexual molestation or serious, documented child abuse. But a court, given a respectful and cooperative parent who is under the microscope or on a judicially imposed "short leash", may be inclined to lessen the strictures, in the interests of re-establishing “normalized” contact between that parent and the children. How about the parent whose ex-spouse has a history of severe mental illness and feels he/she must restrict contact between the mentally ill parent and the children? The court agreed long ago and gave the healthy parent full custody of the kids. Now, however, the ex-spouse has been stable, in treatment, and seeking expanded parenting time for a few years now. How much stability is long enough? What about the children who witnessed their parent being unstable, as well as overhearing their custodial parent (and perhaps new spouse) discussing the mental illness in the next room? The children grow away from the mentally ill parent, become anxious or embarrassed (spill-over from the seemingly anxious custodial parent?) and would rather not resume visitation beyond a certain point, if at all. How much of the estrangement stems directly from the actual behavior of the parent with emotional illness, and how much was fed by the divorce process and the fact that the custodial parent had the upper hand and took advantage of the other parent’s period of destabilization? The parent with full time residential custody (let’s call her Mom for the purposes of this discussion, but it could just as well be Dad) is understandably reticent, suspicious, fearful of loosening up on those restraints against Dad. A spouse who endured a terrible marital history does not forget what transpired. Now, after years have gone by, that custodial parent has stability, a lifestyle with the children that he/she has control over, without interference or further damage inflicted by the ex-spouse or partner. But how much time in exile is enough? At what point does the residential parent acquire an affirmative obligation to help re-establish a relationship with the non-residential parent? A recurrent problem in Family Court is the revolving door of Judges who rotate in, and then out into other divisions (i.e. Civil, Criminal, etc.). Regardless of the reasons, whether it be a shortage of judges, or administrative reassignments for a variety of reasons, it is common for long term litigants to experience multiple judges in their cases. That is a weakness in the system, but it is a recurrent reality for many parents who rely on Family Court to intercede because they cannot control the situation at home without such assistance. For parents who have undergone numerous forensic psychological evaluations with their children, there could be as many as a half dozen psychological reports in the Court’s voluminous files, some contradicting each other, and many of them stale from age. What was diagnosed as a personality disorder five or even eight years ago, can be newly perceived as something no longer as relevant to today’s issues, maybe even divorce-related conflict that brought out the worst in everyone. Some Judges order updated psychological evaluations before making any changes. But many people cannot afford the new evaluations which can cost between $3,000 and $8,000. So in a residential parent who is financially strapped, that parent’s reluctance or inability to quickly come up with the money for the evaluation, can be perceived as obstructive and sabotaging. 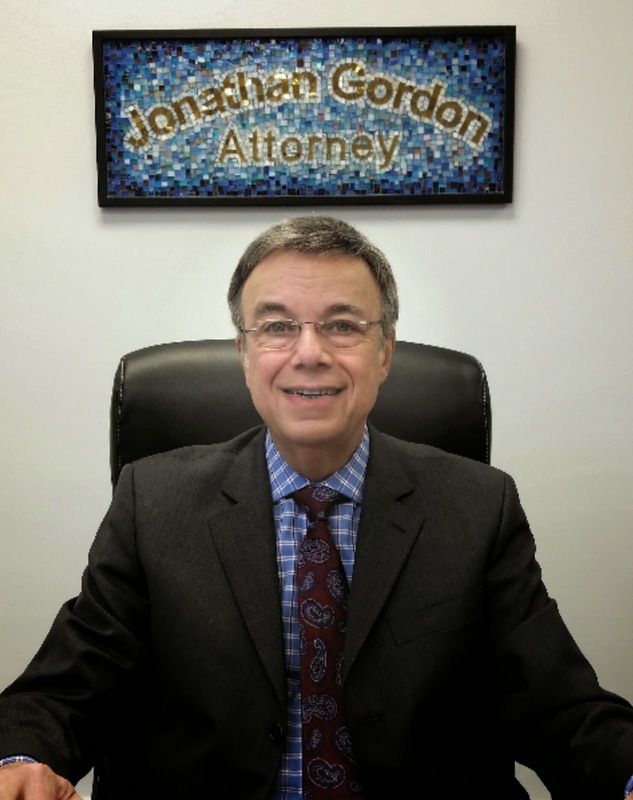 To make matters worse, in a very contentious case, the Court can appoint a Guardian ad litem to represent the child’s best interests to the Court. The Court can also appoint a Parent Coordinator to manage problems that come up pertaining to parenting time, vacations, school events, etc., to help the parties avoid filing multiple motions in the court. The worst case scenario is when a financially strapped parent must come up with money to pay (all or a portion of) an updated psychological evaluation, and funds for a Guardian ad litem and Parent Coordinator’s retainers. Potentially, such a parent could have to come up with $10-15,000 at once, based on the Court’s orders. That is in addition to paying their own attorney and court costs. The court sees the current situation as urgent for the sake of the children’s best interests, which it actually might be, and the Judge is less sympathetic about one’s financial problems, telling the parent, “You’ll have to come up with the money somehow”. How long is long enough for a parent to be supervised during parenting time? How long is long enough for a parent to be emotionally stable and highly functioning before a court will allow more contact—even unsupervised contact—with their children? How long is long enough for an estranged parent to wait to begin reunification therapy with their child? At what point does legitimate fear of an ex-spouse become perceived as malice toward that parent or neuroticism? At what point does the Court get frustrated and annoyed because perhaps that (fearful) parent does not “snap out of it”, “get over it” and “move on” with their lives “for the sake of their children”? Some professionals (such as a Parent Coordinator or Guardian ad litem) could eventually come to blame a parent-victim of domestic violence for letting her (or his) anxiety “spill over” onto the child, thereby causing the child to fear the previously abusive parent. A reticent victim-parent could be perceived as uncooperative or alienating and in need of psychotherapy (which may be accurate). How much spillover of a parent’s emotions is avoidable and how much is not? What about the non-verbal cues to a child that telegraph disapproval, anxiety, anger or revulsion toward the other parent? How can a Court monitor and control all of that, prevent that, eliminate it from the total picture? The answer is that a Court cannot do that, but it can take drastic action when all else seems to fail. In many if not all States, a Family Court judge in his/her discretion may take drastic action to reverse perceived alienation of children by a residential parent. Judges may order fines or financial sanctions, attorneys’ fees paid to the petitioning parent, or even order an abrupt change of custody. When this happens, the children, depending on their age, can have extreme reactions, emotional trauma and experience a chaos that they never anticipated. Or perhaps they may benefit and get to know a parent who they previously had nothing to do with. It is well established that sometimes, when a Court is certain that one parent is causing alienation of the children against the non-residential parent, that a total change in custody may be the only, albeit drastic, solution. But no Judge can be certain of the outcome of that decision. Some children will get used to the estranged parent and see that he/she isn’t that bad, and even may begin to re-establish a relationship. But that is probably the exception rather than the rule. Other children who are already estranged from their noncustodial parent may suffer significant emotional trauma including depression, anxiety, behavioral problems and a decrease in school performance. When abrupt changes in custody are ordered, Judges differ in the kinds of supports that may or may not be put into place. For example, a Judge might order a custody change for a finite amount of time, along with mandatory concurrent counseling for the children and parents. A mental health professional might be put into place who could visit the new residential parent’s home with the children to do on-site counseling or observations. To provide no mental health supports, assumes that the children are going to do well, and that is probably not the case. There, the children may feel abandoned by the system and even by their previous custodial parent. Once a change of residential custody is ordered, it can take a long, long time to complete all of the evaluations and court dates that need to take place before that parent can get the kids back. If the court begins to perceive the residential parent as a problem, then the former parent-in-control becomes the parent under-a-microscope, vulnerable to criticism and parental compromises. Parents on both sides need to realize that over time, Judges get sick of hearing the same arguments, seeing the same litigation papers, lawyers and allegations that have been intrinsic to that case for years. A new Judge on such a case, will not have the same feel of the case that might be several storage boxes big, even if that Judge read everything in the boxes. It is simply human to see two people in Court who have years of horrible history between them, and for a Judge to tell them that they need to stop, to move on, to co-parent, and act reasonably for the sake of their children. To a victim of abuse, that might sound like the Judge is saying “enough already”, “snap out of it and move on”. Easier said than done. And is that a reasonable message for the Court to send? In some cases the answer is yes. In some cases, there is actual malice on the part of the residential parent (however well-justified it might have been in the past). Or, the malice might be out of irrational anger and a desire to unnecessarily hurt the other. Either way, the children are harmed emotionally, lose out on having two parents, and it is the Court’s job to make sure that does not happen, or remain that way. Is it reasonable, however, for a Court to tell a victim of domestic violence to move on? Many victims suffer from chronic Post Traumatic Stress Disorder and carry the emotional damage and pain from the domestic violence wherever they go. It doesn’t go away easily and unfortunately, not every victim is in therapy to process the trauma. Accordingly there is a tension between the children’s right to have two parents and to spend time with them (assuming the exiled parent is not dangerous to their safety or well-being), and the residential parent’s need to feel safe, stable and able to care for the children without undue interference. At what point does the residential parent’s history with the exiled parent become less relevant to the children’s right to have a relationship with that parent? Judges have a limited tolerance for indulging that history unless there is a documented ongoing risk to the children from the non-residential parent who remains uncooperative or untreated (by a mental health professional as previously ordered, for example). So at some point in the endless post-Divorce litigation, the Court can seemingly "turn" against the victim when the victim begins to be perceived as an impediment to progress. What is clear, is that the longer a child has minimal or no contact with their estranged parent, the harder it will be to undo the damage done to the parent-child bond. All of the above scenarios are fact-sensitive and vary from Judge to Judge, from Court to Court, and from State to State. Suffice it to say that there is so much ambiguity and psychological undercurrent in cases such as these that a detailed dissection of those issues sometimes has to take place by forensic evaluators so that the Court can proceed with more confidence that it is doing the right thing for the children. The Court is less concerned with what is fair to an individual parent than what is in the best interests of the children. That is the primary mission of the Family Court in these matters, and there is a sense of urgency to fix the problem before too many years go by and it becomes too late to undo the damage. Follow all court orders. If something comes up that prevents you from complying with a court order, have your attorney advise you promptly. Do not get overly confident that the court will not look to you in a critical manner. You could be put under the microscope at some point, due to circumstances or perhaps because there is a new judge, or your ex makes a disturbing allegation about you, or because parenting time is not being complied with. Do your best to insist that your children comply with parenting time and phone calls as ordered. If they do not take place, you will be held accountable. If you use the argument that the children refuse, you will be scolded by the court, that you allow your children to run the show. It may be unfair, but you should expect this. Remember that the more court involvement, the less control you have over your own life and your own children. Being in court means that you are asking a stranger in a black robe to make decisions or impose interventions that you and your ex were not able to do on your own, for the benefit of your children. You may see yourself as the victim, but you should expect to be blamed as well, at some point. Don’t over-do your limited parenting time with lavish gifts, over-the-top activities, or other extreme courtship techniques to make up for lost time. While that might “wow” the child for a time, it is exhausting, expensive and does not build strong character. Sending the message to a child that you will buy anything or do anything for their love, will end up corrupting their behavior toward you and will potentially create a manipulative and superficial child who will only be happy when you give that child a new gift. Love cannot be bought. Take responsibility for what transpired, and determine not to let that behavior repeat itself. Sometimes an apology goes a long way, whether to a child or to an ex spouse. Arrogantly denying your role to the judge, and blaming the other parent, will not be well received and will not be to your benefit. Do not say anything negative to the child about their residential parent (even if you think they are alienating and malicious or plain crazy); do not discuss the litigation. Follow all Court Orders; show up on time for all parenting time, make all phone calls you are entitled to, be up-beat and optimistic. Make your interactions with your child about the child, not all about you. That means showing empathy, expressing an interest in the child’s daily life (i.e. friends, school, extracurricular activities, etc.) and actively listening to the child rather than interrogating, lecturing or overly talking about yourself. Attend your AA meetings without fail, if that is relevant to your case. Or attend your parenting skills or anger management classes religiously and consistently. Complete everything and jump through every hoop that the court imposed on you. Stop resenting it and fighting the process. Realize that your own actions for the most part, are what got you to this position. There are no easy answers, nor are situations usually black and white. The court has to go through a process that can be agonizing, for the sake of protecting the children who cannot protect themselves. In any event, the bottom line is that children are entitled to both parents, if at all possible and if it is safe for them to be cared for by those parents. Good luck, and please post a comment about your experiences.